Well, yes. We are in the survey business. So you probably think we’re going to say you should use an outside firm. And we are, mostly, going to say just that. But we have our reasons and we think that you may enjoy, and even benefit, from hearing a few of them. Employee surveys look pretty easy. After all, you know your own organization and you know the questions you want to ask (at least in theory). And there’s tools like Survey Monkey that are practically free (unless you want to use the cool/advanced features) to help you set up, run and analyze your survey. So why not tackle it in-house and put the bucks you save by not hiring a research company toward some other worthy organizational objective such as installing a hot tub in the break room? Well, before you start inspecting the choices at the Spas-R-Us website, ask yourself a few questions. Do I (or whoever else is assigned the survey job) have the time to do it? Survey writing, data collection, data analysis and write-up are more time-consuming than you might think. Make a realistic assessment of the staff hours involved in all these steps and you might find that using an outside firm is very cost competitive. 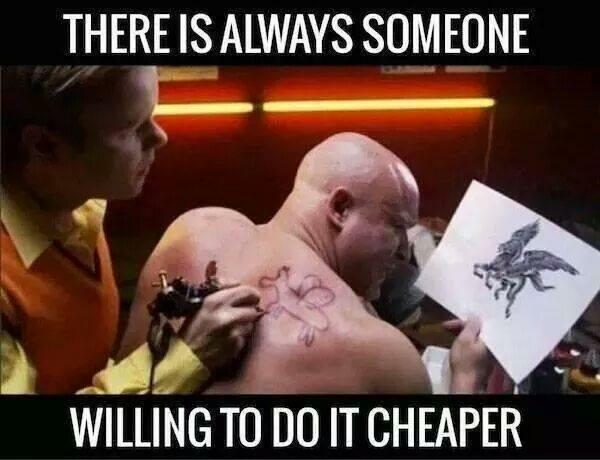 We guarantee that it is cheaper to use us in the first place than to try it yourself, give up in exhaustion and then hire us anyway to fix it (we get new clients this way at least several times per year). Do I/we have the skill? You may think it’s is easy to write effective survey questions. Apparently it is not, because we have a vast collection of examples from surveys we have seen – some DIY efforts and some by supposed pros – that fail in various amusing or horrific ways. Not everyone is a skilled data analyst, either, judging by some of the misused statistics, odd interpretations and illogical conclusions we have seen. Be honest with yourself – if you are not good at these things, or simply don’t like doing them – hire a pro. There are a couple of valuable things you get from using an outside research firm that you can’t get when you do your survey in-house. Comparative norms. If you want to see how employee opinion at your firm compares to national or industry norms, you need to work with a company (yes, like us!) that collects representative normative data. You simply can’t produce this for yourself – even many research companies do not bother to collect representative normative data (they cheat and use aggregated data from surveys they’ve done for clients – such data is not representative of anything except their client list). Credibility/confidentiality/objectivity. Based on the thousands of surveys we have done and the tens of thousands of employee written comments we have analyzed, trust between employees and their organizational leadership is not universal. Getting a true picture of employee perceptions hinges on their willingness to share their opinions freely and their confidence that the findings will be interpreted in a fair and objective manner. Using a research firm means getting state-of-the-art confidentiality procedures and an experienced outsider’s perspective on the meaning and implications of the findings. Do you want to spend time and effort defending your in-house survey process and countering suspicions of bias? Or would you rather let us take that heat (we can, easily) and get on with actually using the data to make improvements? Is There Ever a Place For Do-It-Yourself Employee Surveys? Actually, we think there is (surprised you, didn’t we?). There are survey projects that just don’t need as much research firepower and where the cost of hiring a survey company is hard to justify. Here are a few. •	Flash surveys. Sometimes all you need is a quick answer to a few simple questions. If what you need to learn is whether employees want the break room hot tub to have built-in cup holders or would prefer it to have two extra Jacuzzi jets instead, a quick, short in-house survey is more than sufficient (heck, even a show of hands might work). •	Tracking progress. After a major employee survey, most organizations develop specific actions plans, ideally with clear goals and timelines. Measuring progress toward these goals is important, but a small tracking survey – possibly using some of the questionnaire items from the big survey – may do the trick. Of course, if you insist on hiring us for one of these, we’ll be happy to help, both in conducting it and in keeping the cost down (we want you to succeed and grow so you will have budget available for the next big survey). •	If you are a pro yourself. Depending on what your organization does and what your (or your staff’s) skill set is, you may be perfectly capable of writing good survey questions, and gathering and analyzing data. If you have the skills, capabilities and time – go for it. You only need call on us when you have credibility/confidentiality/objectivity issues or you want comparative norms. When you have those needs, we’ll be happy to help and when you don’t, you can do-it-yourself with our blessing. We cost a little more than doing your survey in-house. But you won’t get punched in the nose for choosing us. We promise.